Off the ice, the veteran goaltender is the “nicest guy.” On the ice, he’s the ultimate competitor. 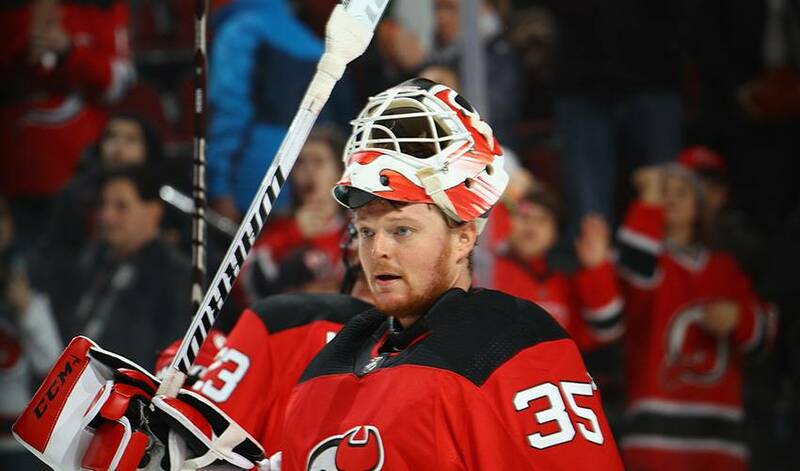 It’s what makes Cory Schneider the perfect teammate. The person that made the left winger feel right at home in the dressing room was the same one who dished out zingers at him during morning practices. Schneider, who came to the Devils via a trade with Vancouver in June of 2013, has been a major contributor to the team’s success in 2017-18. But the 31-year-old doesn’t save his top effort just for games. Schneider is dialed-in even when two points aren’t on the line. That hard work has paid off for the native of Marblehead, Massachusetts over 360-plus career NHL games. After decorated careers with Boston College and Manitoba (American Hockey League), Schneider has gone on to win 161 big-league games, the 2011 William M. Jennings Trophy (shared with Roberto Luongo) and was selected to play in the 2016 NHL All-Star Game. All well-deserved and well-earned accomplishments, said Wood. It’s one of many reasons why Schneider is viewed as the ideal teammate.